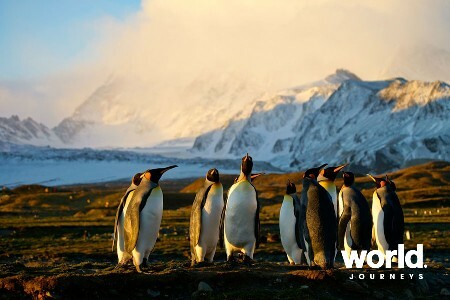 The last frontier… the great white continent, Antarctica! For those who have a yearning to tick this incredible destination off their bucket list, World Journeys offers the best of exploration in style options. Quite simply, there is no other place on earth that you can interact with this extraordinary wildlife and boundless scenery. 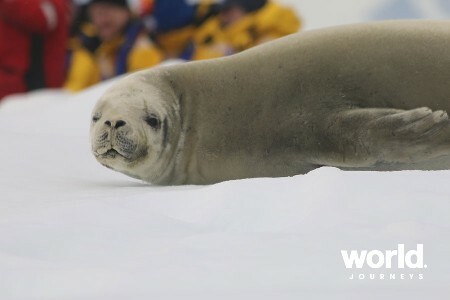 The season for Antarctic voyages is short – from November through early March. Visitors are limited to those travelling mainly by ship and therefore it is important to book as early as possible to ensure a booking on your chosen voyage. 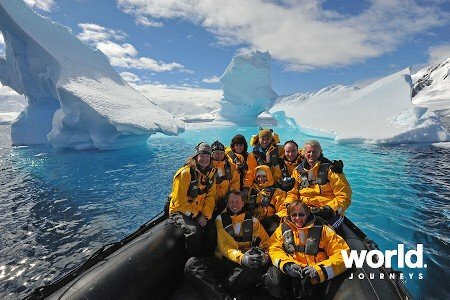 My journey to Antarctica was everything you could expect from a once-in-a-lifetime trip. No wonder its at the top of so many bucket lists, no matter how well-travelled you are, it remains the ultimate destination, the Last Frontier! I set off for the Antarctic in February, for an expedition-style cruise out of Ushuaia with about 100 fellow passengers from all corners of the world. The dreaded Drake Passage lived up to its reputation on the way over, the only welcome distraction being the ability to listen to the onboard lectures from the comfort of my cabin. I lost myself in the stories of the early explorers, whose trials and tribulations far outweighed the mild seasickness I was experiencing. No body part of mine dropped off due to freezing! Once at the Antarctic Peninsula all was calm, and remained so for the remainder of the journey. We enjoyed twice daily land excursions by Zodiac boats, some wet (into shallow water) and some dry (onto jetties or straight onto the beach). Surprisingly it was not anywhere near as cold as I had anticipated, being a dry cold. Layers of merino thermals, and keeping the wind out were key. The absolute highlight for me was cruising through the Lemaire Channel, aptly nicknamed iceberg alley. It was totally surreal, slowly gliding through a sea of icebergs, some towering above you, in a myriad of stunning aquamarine blues. I also loved the history aspect of the region, the explorers, the whaling stations, and the poignant remains of the whalers huts. On our return journey we renamed Drake Passage Lake Passage, unbelievably calm! 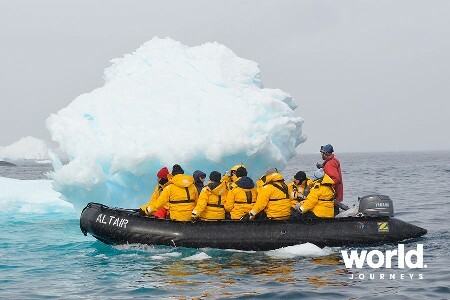 When thinking about visiting the Antarctic, I cannot stress enough how important it is to book early. The cruise season is a short window between November and early March when the temperatures are most favourable, so there are limited sailings, and it is a long wait until the next season! Go for its remoteness, its other worldliness, its wildlife and sheer natural beauty. Even if feel like you have been everywhere, believe me, Antarctica tops the lot! Currency At souvenir shops, US dollars are preferred. The Antarctican dollar does exist, but it is a collector’s item issued by the Antarctic Overseas Exchange Office and not legal tender. Language With no permanent residents, Antarctica does not have a native language of its own. Instead, English is the usual common form of communication between the various nationalities that work here, with staff at each research base communicating in their native tongue, be it Russia, Norwegian or English. Why we love it This is the ‘great white’ continent and one that most seasoned travellers would dearly like to tick off the bucket list! A land so immense that as tourists we can only touch the surface, but in return we see wildlife and marine life totally wild and untouched for millenium. 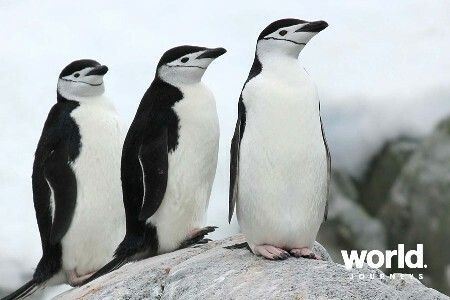 It is not uncommon to walk onto the ice and be surrounded by a huge rookery of Chinstrap penguins who don’t fancy or care what you are doing there! See sheets of ice calving off giant ice walls in front of your eyes and the myriad colours of blue of the sky, ice and water will keep your camera clicking for hours just for that perfect shot. During the summer months the light is amazing and is in daylight almost 24 hours. 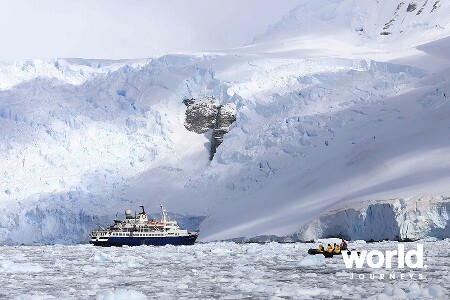 When to go The season for Antarctic voyages is short – from November through early March. Visitors are limited to those travelling mainly by ship and therefore it is important to book as early as possible to ensure a booking on your chosen voyage. Weather The weather in Antarctica is extreme, and therefore is only suitable for cruising during the summer months, November to February. 98% of Antarctica is covered in ice. 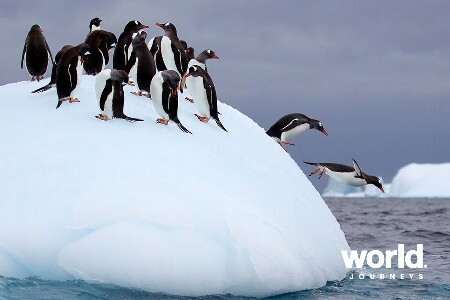 Temperatures in the Antarctic Peninsula rate from a maximum of 10 degrees celcius and a minimum of -5. Conditions are unpredictable, and windchill factors can mean it feels a lot colder than this. Proper wet weather gear and boots are essential for any visit to the continent. 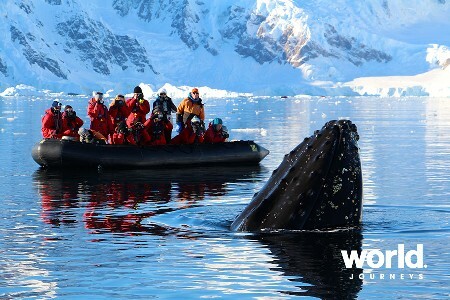 Health* The only health recommendation for a visit to Antarctica is that you are fit and able-bodied if you wish to get into and out of the Zodiac boats. There are some wet landings where you must wade in ankle deep water to get onto land. Hence the requirement for special boots!